The recent discovery in Ethiopia a fossil more than 3m proving that human “ ancestors” supposedly walking upright just by finding a single fourth metatarsal bone in Ethiopia. Like Lucy and Ardi recently has opened the debate that humans being is the outcome of Creation or Evolution more live. The majority of Ethiopians believe firmly in creation and they do not even know who Charles Darwin was leave alone his “Theory of Evolution.” The main diffrence between a Creationist and an Evolutionist could be simplified philosophically being – I Believe and – I Think. Researchers are hopeful that more such remains may be found as excavations continue. This specimen is being added to the growing list of species which existed 2 to 3.5 million years ago and are clearly either modern primate or modern human, one of which may have been our ancestors. However, Creationists reject all of this. According to creationism, humans sprouted fully-formed in our current state, as did all animal “kinds” not of «species” according Evolutionists. 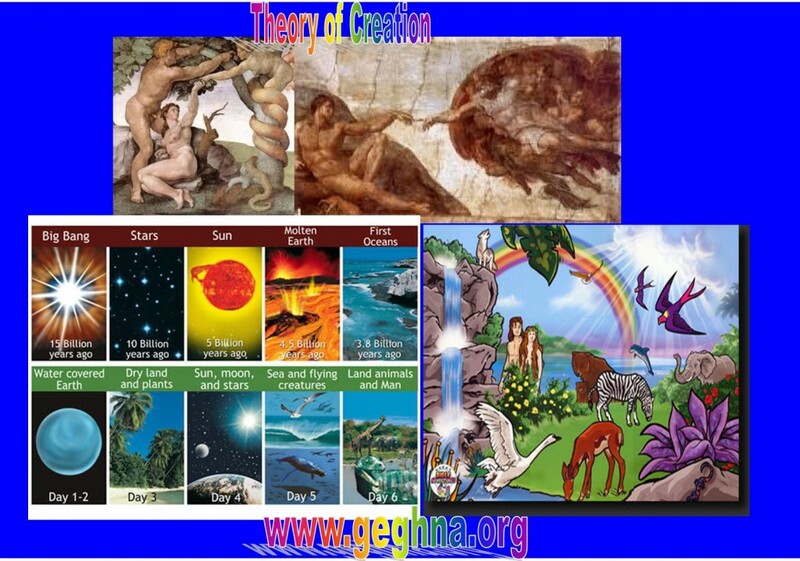 Like the “Theory of Evolution” the protagonist use developed their argument as a «Creation Theory”. The evolutionists criticize the creationists saying that they are a religiously motivated political movement, which is why they publish all of their “research” directly to the general public rather than letting other scientists subject it to peer review. The later argues that is why creationism enjoys more than 50% support from the American public while languishing at less than 1% among scientists. According to the creationist life rather than having begin in very simple forms – proteins, bacteria, algae, etc., and then gradually evolve into more complex forms to become specious rather creatures started out as distinct and separate organisms when God created them. Although these distinct creatures have the capability to adapt to their surroundings to a certain extent, Creationists do not believe that they change into completely different and distinct animals through evolution. Creationists affirm that single-celled organisms did not evolve into more complex plants and animals, finally culminating in modern Homo sapiens. For the creationists ,Charles Darwin’s “ Theory of Evolution «is as much theory as is the theory of gravity, or the theory of relativity. Unlike theories of physics, biological theories, and especially evolution, have been argued long and hard in socio-political arenas. Even today, evolution is not often taught in primary schools. Creationist accepts that evolution is the binding force of all biological research as unifying theme. Especially in paleontology evolution helps as methodology a powerful way to organize the remains of past life and better understand the one history of life not to change creation. For creationists , evolution as a history of thought about evolution in general and paleontological contributions specifically are often useful to the workers of today helping science in a iterative process, draws heavily from its history. According the evolutionists the ancestors of humans were walking upright more than 3m years ago, according to an analysis of a fossilized foot bone found in Ethiopia. The fossil, the fourth metatarsal bone from the species Australopithecus aphaeresis, shows that this forerunner of early humans had a permanently arched foot like modern humans, a key requirement for an upright gait. Arches in human feet put a spring in our step: they are stiff enough to propel us forward but flexible enough to absorb the shock at the end of each stride. It is thought that A. aphaeresis could walk on two feet but were unsure whether the creatures climbed and grasped tree branches as well, much like modern nonhuman apes. The fourth metatarsal according the new discovery shows that afarensis moved around more like modern humans. “Now that we know Lucy and her relatives had arches in their feet, this affects much of what we know about them, from where they lived to what they ate and how they avoided predators,” said Carol Ward, a professor of integrative anatomy at the University of Missouri-Columbia who led the analysis of the fossil. The best-known example of A. afarensis is “Lucy”, who lived in Ethiopia more than 3m years ago. Before that, more than 4.4m years ago, Ethiopia was populated by Ardipithecus ramidus, which seems to have been a part-time terrestrial biped, though its foot had many of the features of tree-dwelling primates, including a highly mobile big toe. Unlike other primates, human feet have two arches, which stretch along the length of the foot and across it. Ape feet do not have these arches and are far more flexible, with a mobile large toe that is useful for climbing trees and holding onto branches. These ape-like features are not present in the foot of A. afarensis, however. Given that its foot was more like that of modern humans; scientists think that A. afarensis no longer depended on the trees for refuge or resources 3m years ago. “Arches in the feet are a key component of human-like walking because they absorb shock and also provide a stiff platform so that we can push off from our feet and move forward,” said Ward. “People today with ‘flat feet’ who lack arches have a host of joint problems throughout their skeletons. Understanding that the arch appeared very early in our evolution shows that the unique structure of our feet is fundamental to human locomotion. “If we can understand what we were designed to do and the natural selection that shaped the human skeleton, we can gain insight into how our skeletons work today. Arches in our feet were just as important for our ancestors as they are for us. For paleontologist these findings confirm that our human ancestors were walking on two legs by about 3.2m years ago. The debate on the Creationist evolutionist continues so long as the missing link between specious is large and the creatures will contuse to maintain their theory of creation to stand on the firm ground on their milliner believes.